I have a multiple choice checkbox element. I would like to display which boxes were checked on a separate page. Is this possible? I'd like "Activities" to appear on the second page without having to select the boxes again. Yes, this is possible. You need to add your multiple choice field (checkbox field) to your form. Then label the question, and specify your options. 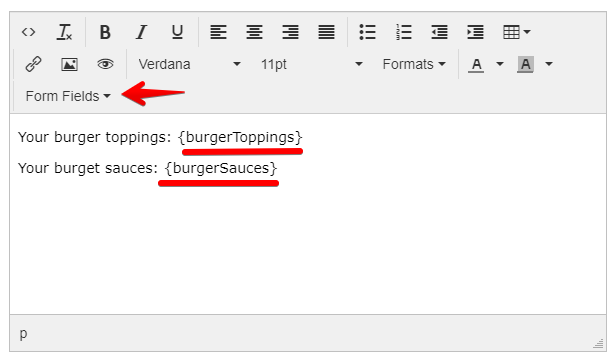 Next you add a text field on the second page. And add the variable name of the multiple choice field to the text field. Just click on Form Fields and select your variable.